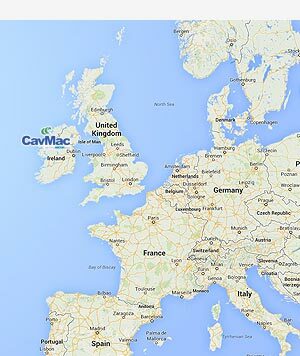 CavMac Hose Assemblies provide our customers with ‘Total Engineering Solutions’. We remain customer focused at all stages of our process. 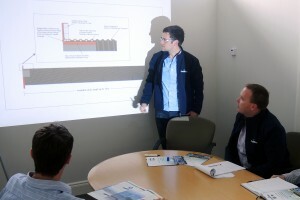 We begin every project with a detailed consultation with our customer. 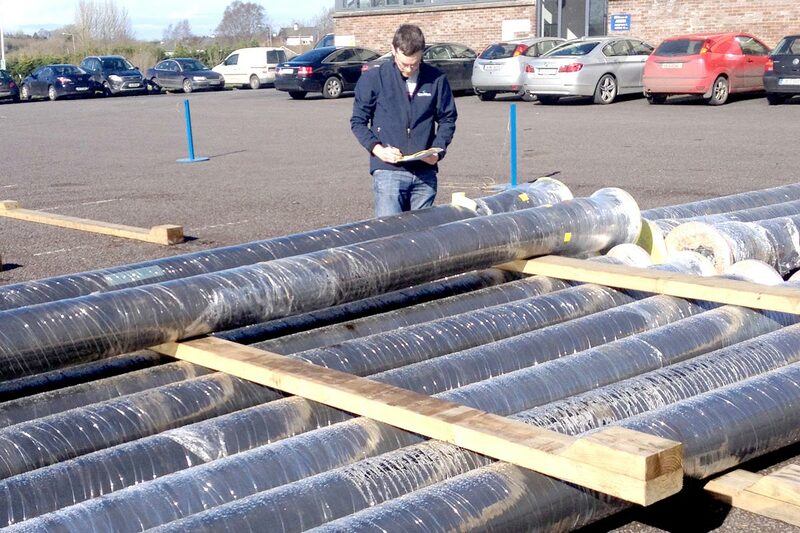 This enables us to select the most appropriate lining material, pressure or vacuum rating, safety factor, bending radius, end connections and other design parameters for the application. Testing requirements, packing and transportation options are also addressed at this stage. We ensure that we fully understand all of the requirements of the application to our customer’s satisfaction before we move to the next stage. 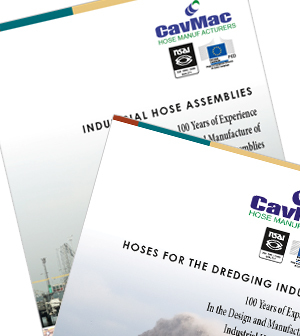 Our design department uses the most up-to-date technology, coupled with many years of experience, to ensure that the construction of every CavMac Hose matches the requirements of the application. 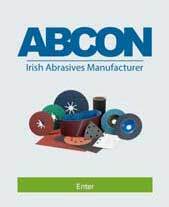 All customer requirements are taken into account and all raw materials selected are sourced from approved, quality assured European suppliers. 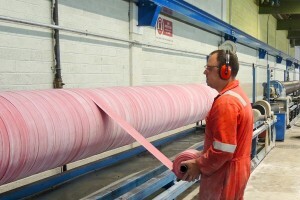 Our production department has the capability to produce hoses in lengths of up to 60m for bore size 152mm and smaller. For bore sizes from 203mm to 1000mm, we can produce in lengths of up to 12m. Every stage of the production is tightly controlled from our design centre. We operate to an ISO9001 accredited quality assurance system. 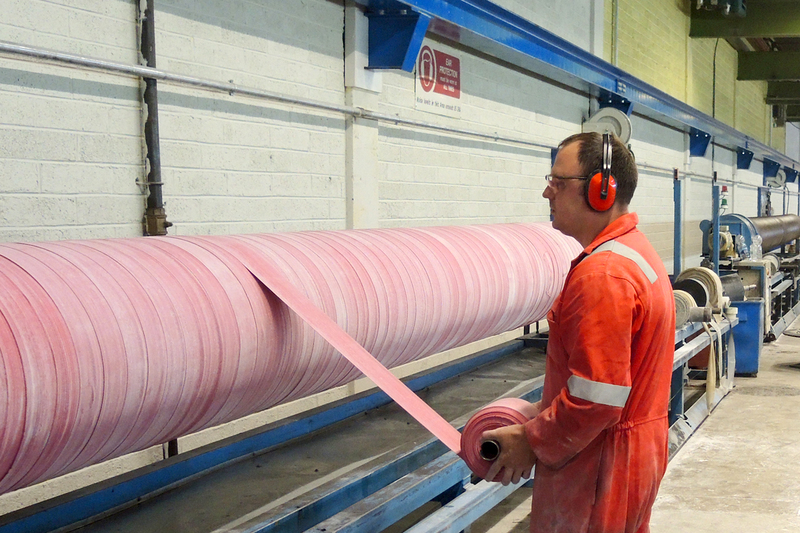 A full range of pressure or vacuum testing options are available and tests are carried out on all hoses in accordance with the requirements of the customer. Test data is recorded live and is supplied in graphical form on our pressure test certificates. 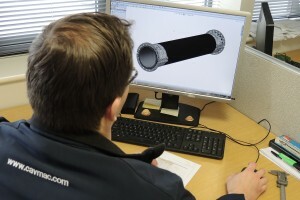 Each assembly has a serial number for full traceability to test data and production processes. 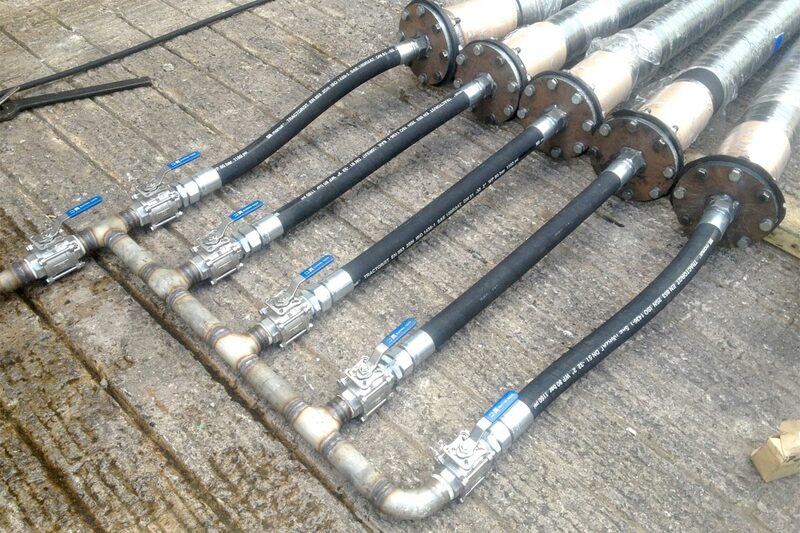 CavMac Hose experts will advise on the most suitable packing option to ensure that the hose assembly is delivered to site safely and in the same condition as it left our factory. A full range of bespoke crates or pallets are available with options on heat treatment and type of timber used. Our experienced staff can offer a range of competitive logistic options for fast efficient transport to any global location.